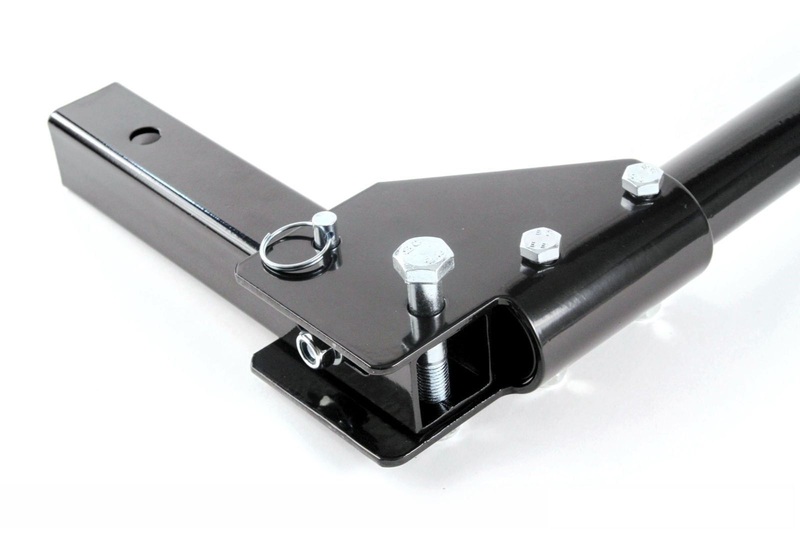 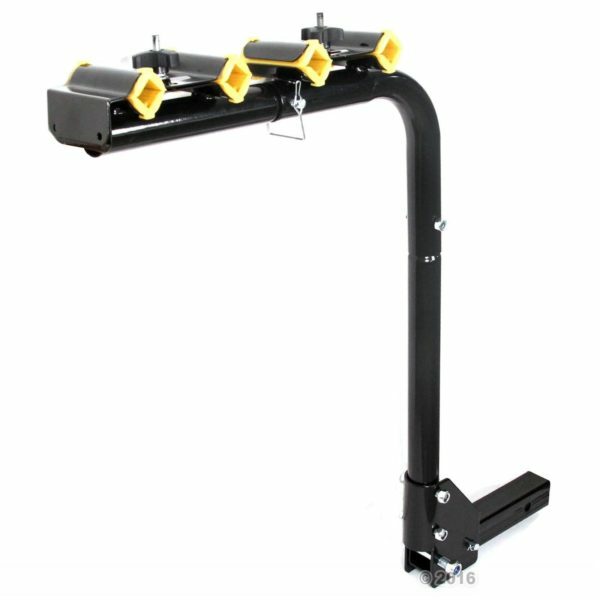 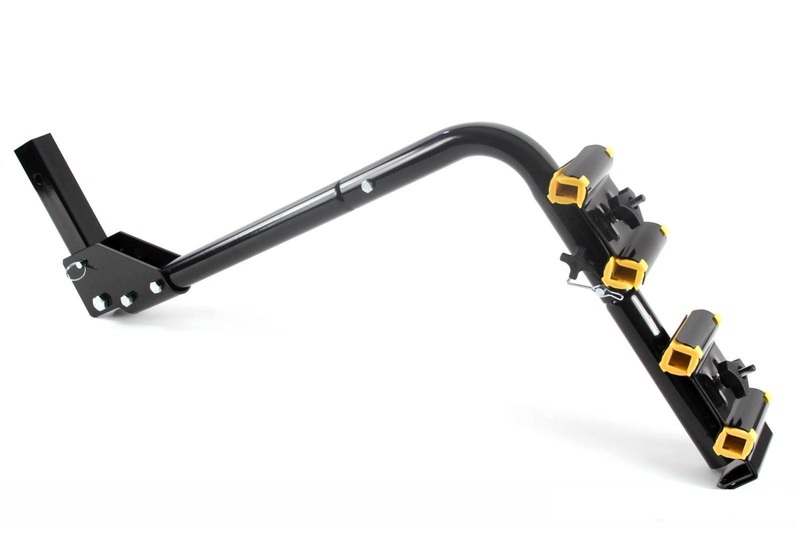 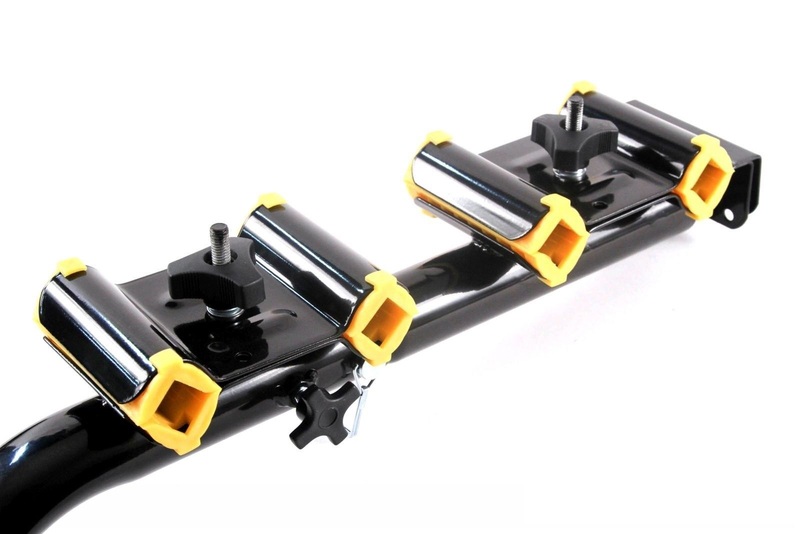 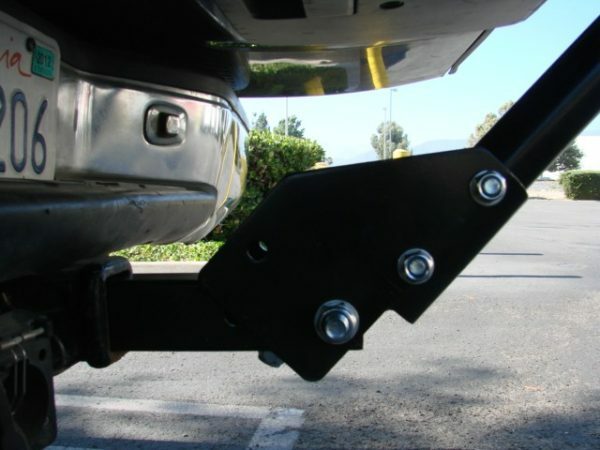 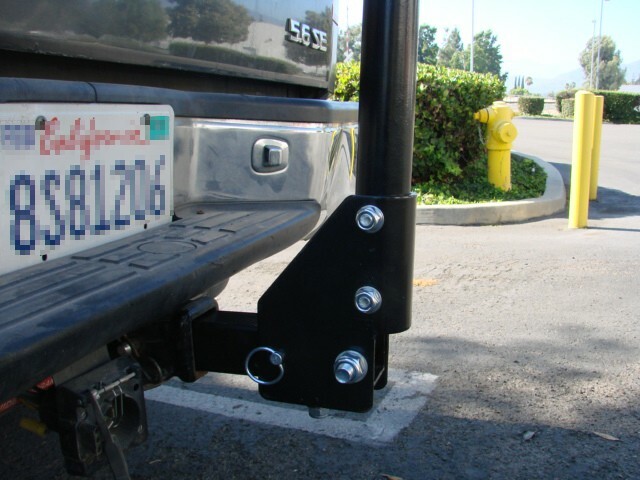 The new AM2040 bike rack mounts to your 2″ trailer hitch receiver to transport 2 and up to 4 bicycles. Simply slide the hitch bike rack into your receiver and secure the bike rack with hitch pin (not included). 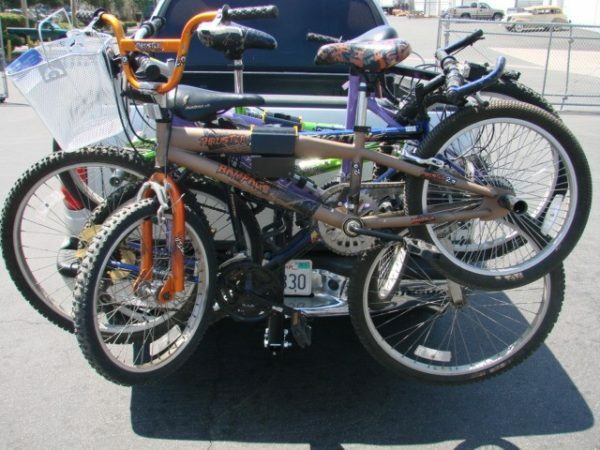 Each cradle accommodates bikes with a frame diameter no larger then 2″. 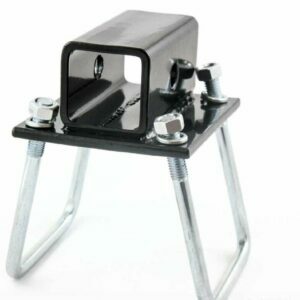 Once seated, the lockable top plate is then secured with a screw-on knob. 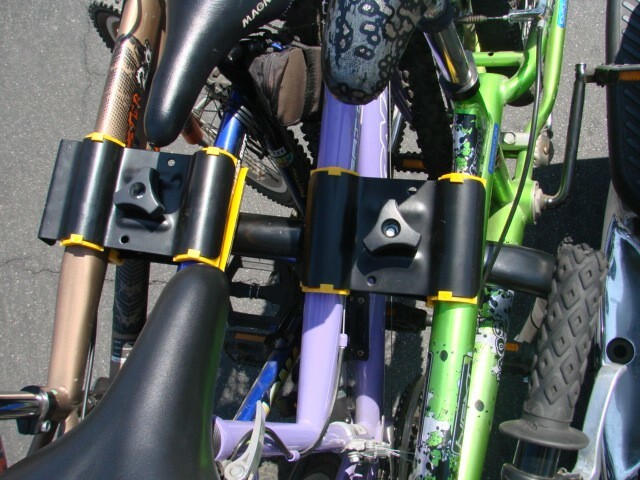 The cradles feature a ribbed rubber construction to prevent scratching your bikes while traveling. 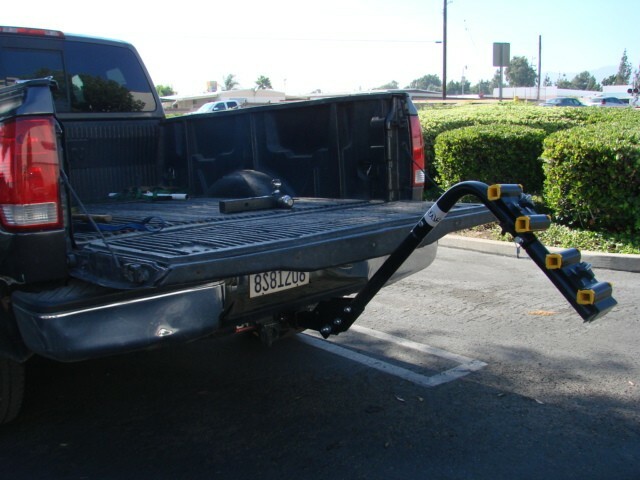 When access to the rear of your vehicle is needed, simply pull the top pin to swing the hitch bike rack down. 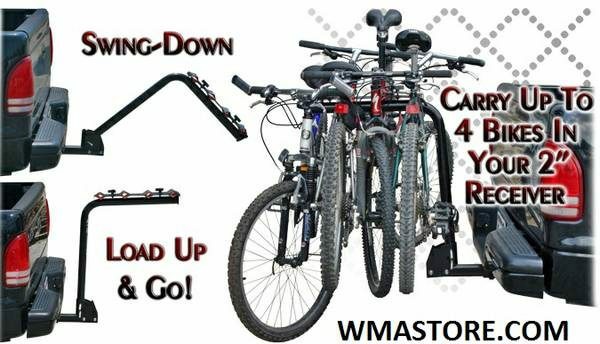 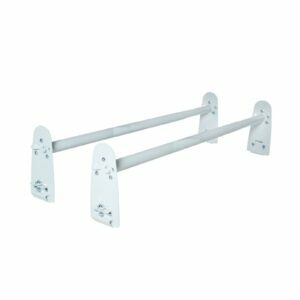 Great for your next biking trip, the AM2040 is a quality trailer hitch mounted bike rack at a very low price! 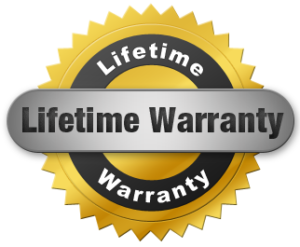 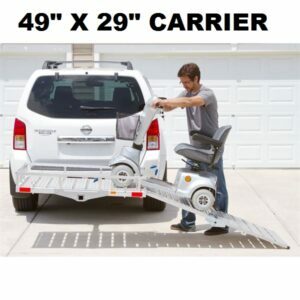 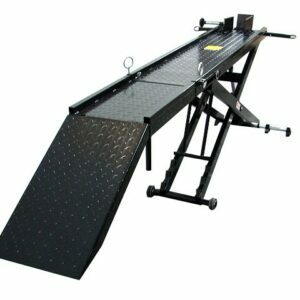 The Bicycle Carrier comes complete with a LIFETIME WARRANTY against defects.